It was such a cold week in Texas, I couldn’t help myself but kept knitting and crocheting all sort of things. I love Winter but couldn’t help the physical needs to keep my body warm, my passion for yarns and fiber arts seem like a perfect match to my favorite season this time of year. 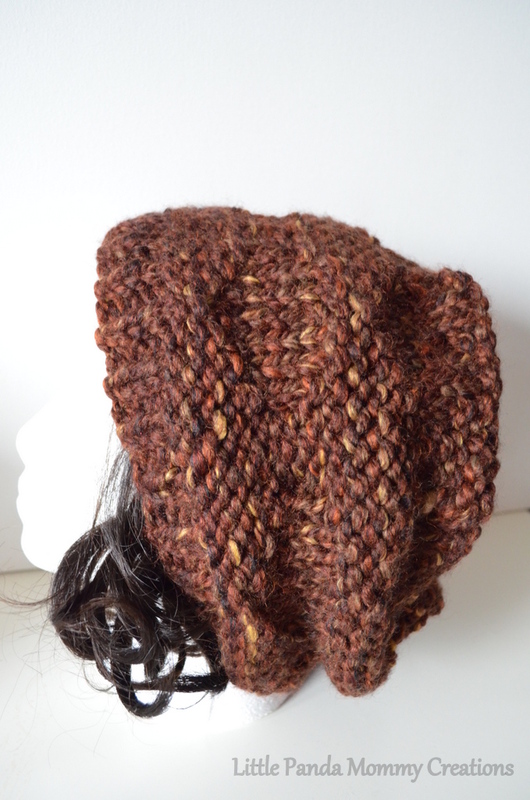 For these cold days, I went straight to the chunky wool blend yarn with this rustic, earthy colorway to make my very first design knitted hat. This hat is stretchy and loose-fitting, comfortably fits me and my hubby (easy fits 22-26 inches head circumstance). There wasn’t really a right side or wrong side of this chunky hat since it is reversible, I knitted with the star shape top facing, so let called it the unofficial right side. 1. Wear it with the ribs folded up, star shape (unofficial right side) on top. It would be super cute if wear with a long wool coat and loop a long scarf around the neck once. Oh, I am imagining the cute look. Let take a look from the other side of the same look, super simple and easy to wear. 2. 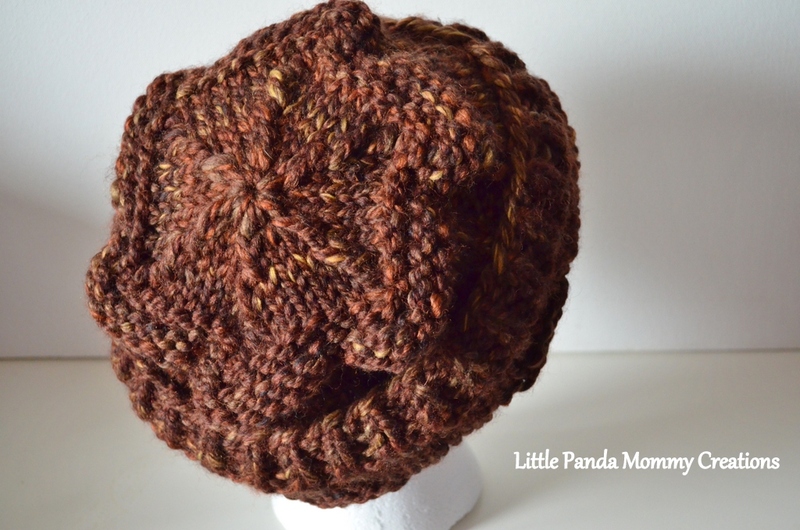 Flip it inside out (unofficially wrong side), wear it as a slouchy hat, the wave in the hat naturally formed by the hidden heart shape pattern, you don’t even need to do anything to get it look this great. With this colorway, the heart pattern hidden really well and guys will happy to wear it (just don’t tell them there are hidden hearts, I seriously doubt anyone can found it in this colorway). If you want the 20 hearts shown, a solid colorway or a two-tone hat, with base in one color and heart patterns another will help. 3. Fold the ribs up and wear it inside out, this is my favorite look when I wear it. The ribs on the body with subtle star top just work for me, so simple but yet have a little style. Sometime, you want to be low-key but still look fabulous. My favorite look from the side, everyone can pull it off. Alright, I like it so much, I just need to post how it look from the front too. Versatile is important to me as a housewife and mommy, I don’t really have time to dig through the hats drawer while I could barely manage to get up in the cold weather, pack my daughter’s lunch, feed them breakfast and the most impossible task – wake them up in the first place when school bus is minutes away. 4. Thank hubby for being my model for the 1st time. He wore it right side up as a skull cap. 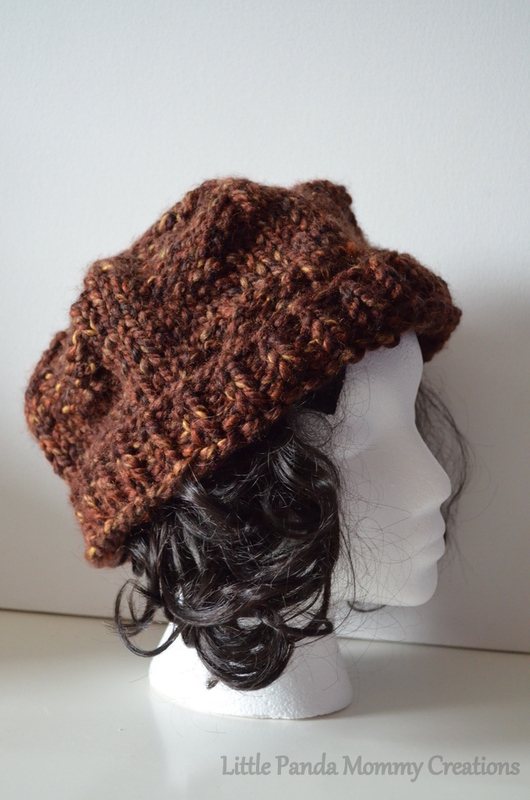 I am pretty happy with this unisex, multiple styles hat design. What do you think? 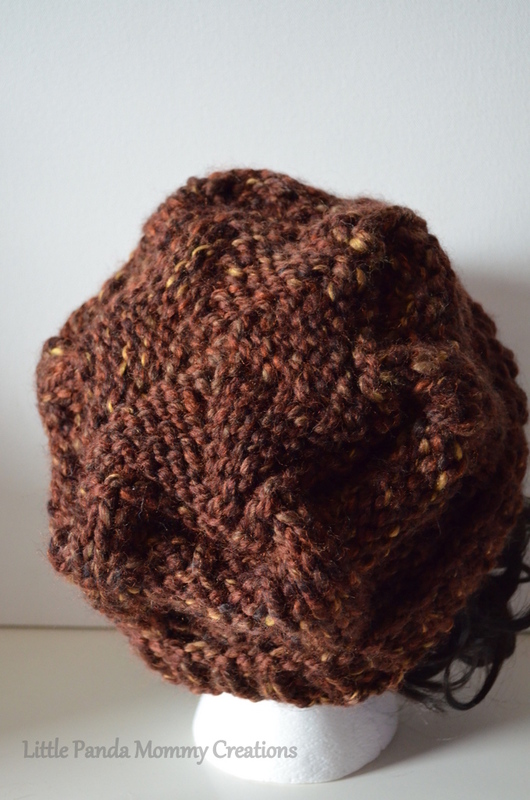 Pattern for the 4 in 1 reversible knitted hat is available now. Click here. Please do not copy, re-post or sell any written context or pictures in this post, they are all copyrighted. 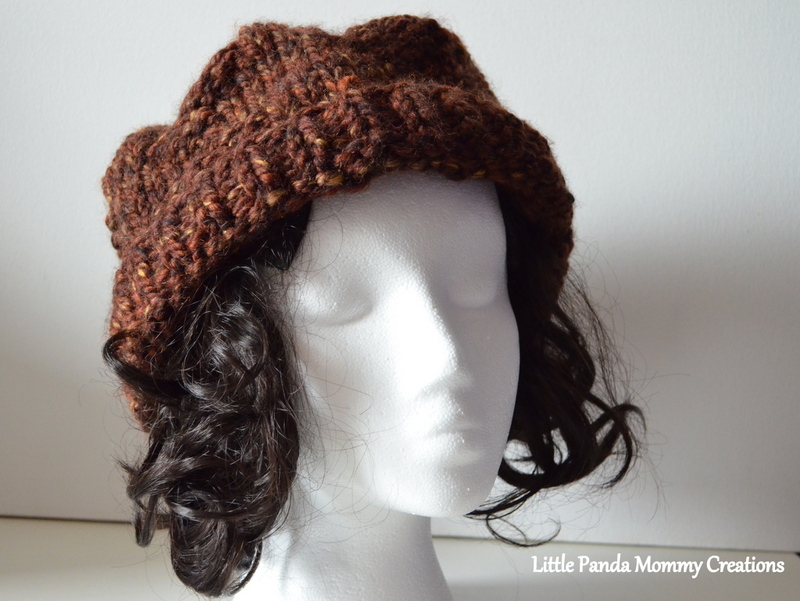 This entry was posted in Knit, Styles and tagged 4 different ways to wear a hat, 4 Ways To Wear Chunky Reversible Knitted Hat (Unisex), chunky hat, how to wear a hat, knitted hat, Reversible hat, unisex hat on January 15, 2015 by littlepandamommy.